The Chor des Bayerischen Rundfunks (Bavarian Radio Chorus) was founded in 1946. Its artistic advancement has run in close parallel with the growth of the Symphonieorchester des Bayerischen Rundfunks (Bavarian Radio Symphony Orchestra). Since 2003, Mariss Jansons has served as the Chief Conductor of both ensembles, supplemented by Howard Arman, who was appointed Artistic Director of the chorus in 2016. Here, he has worked in close collaboration with both BR orchestras, along with other ensembles, in a wide variety of programs throughout the subscription series. Among the main points of concentration in the chorus's work are contemporary music as well as its collaborations with such early music ensembles as Concerto Köln and the Akademie für Alte Musik in Berlin. Thanks to its remarkable stylistic versatility, which covers every area of choral singing from mediæval motets all the way to contemporary works, from oratorio to opera, this ensemble enjoys the highest regard world-wide. Guest appearances have taken the chorus to Japan as well as to such top European festivals as the ones in Lucerne and Salzburg. Major European orchestras like the Berliner Philharmoniker, the Concertgebouworkest in Amsterdam and the Sächsische Staatskapelle in Dresden hold their collaborations with the BR-Chor in high regard. The chorus has performed in the past under the direction of such distinguished conductors as Andris Nelsons, Bernard Haitink, Daniel Harding, Yannick Nézet-Séguin, Riccardo Muti, Riccardo Chailly, Thomas Hengelbrock, Robin Ticciati and Christian Thielemann. In the BR's modern music series', musica viva and Paradisi gloria, as well as in its own subscription concerts, the chorus has regularly set itself apart in the presentation of world premières. It has been awarded a vast number of prestigious accolades for its CD recordings, among them the ECHO Klassik in 2014 ("Ensemble of the Year"). The BR-Chor also received the 2015 Bayerische Staatspreis für Musik in the category: "professional music making". The DVD release of Bach's St John Passion entered the "Best of February 2017" list of the German Record Critics Prize; the CD with Rachmaninoff's The Bells was awarded the 2018 Diapason d'Or. He was decisively influenced by the legendary Russian conductor Evgeny Mravinsky, who brought Mariss Jansons to the Leningrad Philharmonic as his assistant in 1971. Thereafter Mariss Jansons was closely associated with this orchestra, today's St. Petersburg Philharmonic, until 1999 as regular conductor and led the orchestra during this period on tours world-wide. 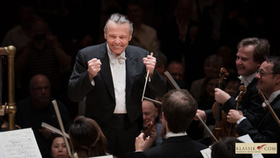 As Chief Conductor, Mariss Jansons has led a number of concerts with the Symphonieorchester des Bayerischen Rundfunks at home and abroad, enthusiastically received by audiences and highly praised by the press. Jansons and the orchestra make regular guest appearances in the most important musical capitals of the world: New York, London, Tokyo, Vienna, Berlin, Amsterdam, Paris, Madrid, Zurich and Brussels, among other cities, as well as at such festivals as Salzburg, Lucerne, the London Proms, the Edinburgh Festival, the Berlin Festival and others. The Symphonieorchester und Chor des Bayerischen Rundfunks under Mariss Jansons's direction are annually invited to serve as Orchestra in Residence at the Easter Festival in Lucerne. In the autumn of 2005 Jansons and the orchestra undertook their first joint Japan-China tour and were singled out by the Japanese press for the "Best Concerts of the Season". In 2006 and 2009, Mariss Jansons gave several triumphantly successful concerts at New York's Carnegie Hall. Regular guest appearances have likewise taken Jansons with the Koninklijk Concertgebouworkest to the leading music centers and the most prestigious festivals such as the ones in Salzburg, Lucerne, the Proms in London, Edinburgh and the Berlin Festival. The guest concerts during the Japan tour in 2004 were hailed as the "Best Concerts of the Season" in Japan. Mariss Jansons's discography comprises recordings for EMI, Deutsche Grammophon, SONY, BMG, Chandos and Simax with works by Beethoven, Brahms, Bruckner, Berlioz, Bartók, Britten, Dukas, Dvorák, Grieg, Haydn, Henze, Honegger, Mahler, Mussorgsky, Prokofiev, Rachmaninov, Ravel, Respighi, Saint Saëns, Shostakovich, Schönberg, Sibelius, Stravinsky, Strauss, Shchedrin, Tchaikovsky, Wagner, Webern and Weill. Many of his recordings have received prestigious international prizes. The first grand success was the Tchaikovsky cycle with the Oslo Philharmonic for Chandos, a reference recording, which has now reached cult status. The recording of Schostakovich's Seventh Symphony with the Leningrad Philharmonic won the 1999 Edison Prize, the recording of Tchaikovsky's Piano Concerto No 1 and Rachmaninov's Piano Concerto No. 2 with Michael Rudy and the same orchestra won the Grand Prix de la Nouvelle Académie du Disque in 1991. 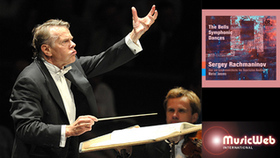 Mariss Jansons's recording of Dvorák's Fifth Symphony with the Oslo Philharmonic was singled out with the Penguin Award, and his interpretations of Gustav Mahler's First and Ninth Symphonies with the same orchestra (2003) and Mahler's Sixth with the London Symphony Orchestra (2004) were awarded the »Toblacher Komponierhäuschen« in special recognition of the best Mahler interpretations of our time. In 2005 Mariss Jansons concluded his complete recording of the Shostakovich symphonies for EMI Classics, in which several different top orchestras took part. The cycle was completed by the Symphonieorchester des Bayerischen Rundfunks. The recording of the Symphony No. 4 was awarded a number of prizes, among them the Diapason d'Or and the Prize of the German Recording Critics. The Symphonies Nos. 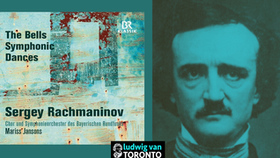 5 and 8 received the German ECHO Klassik Prize in 2006 for the best symphonic recording (1999 and 2002). In 2005 the recording of the Symphony No. 13 was awarded a Grammy for the best orchestral performance, as well as the 2006 ECHO Klassik Prize for the best for best symphonic recording. In 2006, to mark the composer's 100th birthday a box with all the symphonies was released. This complete recording was honored with the Annual Prize of the German Recording Critics, the Annual Prize from Le Monde de la Musique, as well as the prizes for Recording of the Year and Best Symphonic Recording at the 2007 MIDEM in Cannes. Under the title "Symphonieorchester des Bayerischen Rundfunks Live" SONY BMG released seven CD's with live concert recordings with works by Bartók, Britten, Haydn, Ravel, Schönberg, Shchedrin, Sibelius, Stravinsky, Tchaikovsky, Wagner and Webern. The "BR-Klassik" label, founded in 2008, has thus far released CD's and DVD's with the Symphonieorchester und Chor des Bayerischen Rundfunks under Mariss Jansons featuring works by Bartók, Beethoven, Brahms, Bruckner, Haydn, Schönberg, Stravinsky and Tchaikovsky. 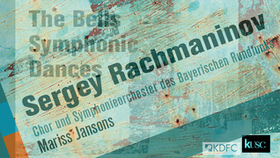 The Symphonieorchester des Bayerischen Rundfunks under the direction of Mariss Jansons received the 2010 ECHO Klassik as "Ensemble of the Year" for their recording of the Seventh Symphony by Bruckner. The Koninklijk Concertgebouworkest's own label has a wide repertoire of CD's and DVD's, with works by Beethoven, Brahms, Bruckner, Dvorák, Henze, Honegger, Mahler, Mussorgsky, Poulenc, Rachmaninov, Shostakovich. Sibelius, Strauss, Stravinsky and Tchaikovsky. 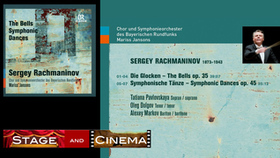 The DVD recording of Shostakovich's opera "Lady Macbeth of Mtsensk" alone won the following prizes following its release in 2006: Diapason d'Or de l'Année (2007), Prize of the German Recording Critics (2007 Best List), 10 de Classica Repertoire (2006), ffff télérama (2007) CHOC du Monde de la Musique (2007), Caecilia Prijs (2007), Grand Prix du Disque Lyrique, Edison (2007). Likewise in 2007, the recording of Shostakovich's Seventh Symphony with the Koninklijk Concertgebouworkest won the Prize of the British BBC Music Magazine and the Edison Prize in the Netherlands, while the recorded performance of Berlioz's "Symphonie fantastique" received the Dutch Luister Prize. 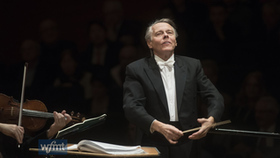 Mariss Jansons has been awarded a number of international prizes and accolades. He is an honorary member of the Gesellschaft der Musikfreunde in Vienna, and in Russia has holds the honorary title: "People's Artist of Russia". In Norway he was awarded the top-ranking "Medal of St. Hallvard", the highest award presented by of the City of Oslo for his devoted efforts with the Oslo Philharmonic the "Commander of the Royal Norwegian Order of Merit" (1998) and "Commander with Star" (1994),– the highest award presented to a foreigner. In 1984 he received the Lindemann Prize from the Norwegian Music Academy, in 1990 the Culture Prize from the City of Oslo, in 1991 he received an award from the Paul Harris Fellowship (Rotary International) as well as the Anders Jahre Culture Prize. In 1995, he received the Latvian Award of Merit for Music. In 1996 he was "EMI Artist of the Year". In 2003, Mariss Jansons received the Hans von Bülow Medal from the Berlin Philharmonic. In May of 2004 he was honored by London's Royal Philharmonic Society as "Conductor of the Year", in 2006 he was declared "Artist of the Year" at MIDEM, the International Music Trade Fair in Cannes, and the conductor was awarded the "3 Stars" medal, the highest honor presented by the Republic of Latvia. In 2007, the city of Vienna presented him with the "Golden Cross of Honor for Services to the Federal State of Vienna". Additionally he received the 2007 ECHO Klassik from the German Phono Academy as "Conductor of the Year". That same year, Bavaria's Governor Edmund Stoiber presented him with the Bavarian Order of Merit, and the Pro Europa Foundation awarded him the European Conducting Prize. Beyond this, that same year he received the "Baltic Stars" award for the Development and Strengthening of Humanitarian Connections to the nations of the Baltic Region. In 2009 the Austrian Culture Ministry on behalf of Federal Austrian President Heinz Fischer awarded him the "Austrian Cross of Honor for Scholarship and Art", and the Rumanian State President Traian Basescu appointed him a "Mertul Cultural Cavalier". In 2010 he received the Bavarian Order of Maximilian for Scholarship and Art. For outstanding achievement to the town of Amsterdam he was honored with the "IJ Award" in 2012. In 2006, the French "Monde de la musique" placed the Koninklijk Concertgebouworkest in second place in the European Ranking, and the Symphonieorchester des Bayerischen Rundfunks received sixth place. In 2008 a questionnaire from the British magazine "Gramophone" selected the two orchestras conducted by Mariss Jansons among the ten best orchestras of the world. The Koninklijk Concertgebouworkest was in first place and the Symphonieorchester des Bayerischen Rundfunks came in at sixth place. In 2008 Japanese magazine "Record Geijutsu" likewise selected the Koninklijk Concertgebouworkest at 3rd place world-wide, and the Symphonieorchester des Bayerischen Rundfunks at 4th place. "Focus" magazine in Germany ranked the Koninklijk Concertgebouworkest in first place in 2009, while selecting the Symphonieorchester des Bayerischen Rundfunks for 2nd place. In 2010 the Japanese magazine "Mostly Classic" rated the Koninklijk Concertgebouworkest at 3rd place and the Symphonieorchester des Bayerischen Rundfunks at 4th place. "Opernwelt" magazine selected Mariss Jansons "Conductor of the Year" in 2011 for his production of "Evgeny Onegin" with the Koninklijk Concertgebouworkest. On January 1st, 2006, Mariss Jansons conducted the traditional New Year's concert of the Vienna Philharmonic for the first time – it was telecast by 60 different networks on every continent and seen by more than 500 million televiewers. His "début" was wildly cheered by press and public, and has been released as a CD and DVD by Deutsche Grammophon. The CD recording reached double platinum and the DVD gold status. 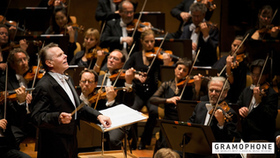 In 2012, Mariss Jansons again assumed the direction of this internationally renowned concert. Once again the releases by Sony were extraordinarily successful reaching platinum for the DVD and double platinum for the CD. January 2013 Mariss Jansons was awarded the "Ernst-von-Siemens-Musikpreis", one of the world-wide most important and renown awards for music. On the occasion of his 70th birthday the Bayerischer Rundfunk honoured him with the "Medal of Merits of the Bayerischer Rundfunk". For outstanding achievements to his hometown Mariss Jansons received the "Medal of Merit of St. Petersburg" awarded by the Municipality of St. Petersburg on March 31st , 2013. October 2013 the President of the Federal Republic of Germany bestowed the "German Federal Cross of Merit with Star" on Mariss Jansons for his outstanding services to the German culture. As a conductor of the world's best orchestras and due to his strong support of contemporary music and young talents he belongs to the great artists of our times. On 1st November 2013 Mariss Jansons was made a "Knight of the Lion of the Netherlands" for his profound contribution he has made to Dutch musical life and the vitality with which he conveys this with the Concertgebouw Orchestra to the world. February 2015 the French Ministry for Culture appointed Mariss Jansons as "Comandeur des Arts et des Lettres", the highest cultural award of the French Republic. In the same month he became the "Conductor of Honour" of the Koniklijk Concertgebjouworkest. For his Life Achievement Mariss Jansons was honoured in March 2015 with the "Latvia Great Music Award"
These three are the opera "Francesca da Rimini" op. 25, the symphonic poem "The Bells" op. 35 and Rachmaninov's last composition, the "Symphonic Dances" op. 45. What makes all of three pieces special, and therefore outstanding, is the fact that Rachmaninov succeeds in reinventing his own style in each case - and this in relation to the "Symphonic Dances" even in the face of his own demise. The composer was also of the opinion that he had created something special with "The Bells" and the "Symphonic Dances"; he himself described them as his best works. "The Bells" and the "Symphonic Dances" are lovingly performed by the Bavarian Radio Choir and Symphony Orchestra conducted by Mariss Jansons and supported by the soloists Tatiana Pavlovskaya, Oleg Dolgov and Alexey Markov. Jansons once again proves his great class. It is precisely the long shadow cast by the 'Symhonic Dances' that he is able to turn into something both intoxicating and colourful. This interpretation leaves many others far behind, because it does not cause a great stir about itself. 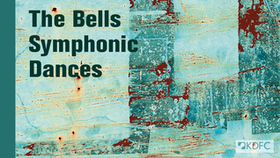 "The Bells" and the "Symphonic Dances" are connected by two aspects: the spiritual and the emotional. This also explains the quotation in the title of this review. As already mentioned, this three-movement work is the composer's last. On October 29, 1940, according to the beautiful booklet text by Larissa Kowal-Wolk, Rachmaniow noted 'I thank you, God' under the last page. In this atmosphere, Jansons performs true miracles, which is especially noticeable in the second movement. Rarely has the mixture of diabolical and sentiment been so clearly and clearly worked out as in this interpretation. The outstanding soloists of the orchestra also have a great merit in this. It is difficult here to assess the repertoire value, because hope, desire and reality are far apart. The highest score would be justified, but it is precisely "The Bells" that can probably never prevail against other far better known works by the composer. The "Symphonic Dances" in this release simply belong on every CD shelf, especially since this is a live recording, whatever that may mean in our times of digital adaptation. The sound quality is excellent in any case. Anyone who knows and appreciates Rachmaninoff must be over the moon with this new recording of Mariss Jansons where two of the composer's three masterpieces can be heard. There is only one thing left to do: Get it!